As you’ve probably read somewhere recently (or maybe you were impacted by directly), Google released the “Panda Update” – labelled the “Farmer Update” Thursday February 24. Thanks to our leading SEO analytics software, the Searchmetrics Suite, we were able to show which websites were both negatively and positively impacted by this update. Check-out the full post here. 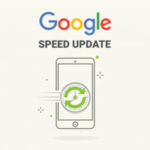 However, as we quickly realized, the update was only released for Google.com. 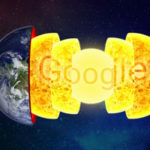 Thus it has not affected any other countries until yesterday when Google announced that it has rolled out Panda globally to all English-language Google users. Interestingly, Google confirms that for this update it’s also using user data from its “block these pages from your results” function. 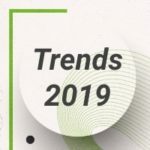 We’ve performed an analysis with millions of different keywords in the short -and longtail of the impact of this update. We analyzed the top 100 domains with the greatest gains and losses in our Organic Performance Index (OPI) from the previous week. The OPI is calculated according to a keyword’s search volume, position and the statistical value of traffic distribution. The update is made every week and we can definitely confirm that the update has hit the UK – in a big way. Surprisingly, ehow.co.uk and ehow.com has lost more than 50% in terms of visibility and the alarm bells are probably going off at Qype.co.uk which has lost a whopping 96%! A lot of price comparison sites like ciao.co.uk (in a lawsuit with Google) and dooyoo.co.uk also lost nearly 90% of visibility. Cheap flights comparison site airfaresflights.co.uk lost ~95% SEO visibility. Some competitors like skyscanner only 4%. You can download the loser list here. And now for the top 20 winners. Nothing drastic here, but some confirmation that sites where users spend a lot of time looking at pages have gained more visibility following the update. Download the Top100 winners here. That’s all for now and we’ll be monitoring the post-release impact very closely as this will be coming very soon to the rest of the World. 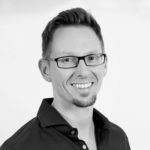 My name is Marcus Tober and I’m the founder of Searchmetrics. Because we really love to analyze all kinds of online data, we can give you more insights than any other company in SEO, SEM and Social Media. It’s not a job, it’s passion. Not sure if all of the stats are true, could be a google dance post panda. Good post. I am a regular visitor of your website and appreciate you taking the time to maintain the nice site. I will be a regular visitor for a really long time. Thank you very much for statistics. At times I contemplate if people actually devote some time to come up with something imaginative, or are they just dishing out words to occupy a web page. This undoubtedly doesn’t fit that form. Thank you for spending the time to compose with appeal. From time to time I read through a post and question if they even proofread it.Superior work with this posting. Good to see that Google has clamped down on thin content sites. 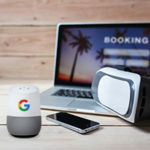 It was only a matter of time before Google considered the domain as a whole as apposed to ranking individual pages on a site. I’m all for this update as ultimately it will make the web a better place. you’ve got a fantastic blog here! would you prefer to make some invite posts on my blog? Thanks for another excellent article. Where else could anybody get that kind of info in such a perfect approach of writing? I’ve a presentation subsequent week, and I’m on the look for such information. I am unable to get this operate. Yes, it is straightforward, even so i ‘m trapped. unique article content I’m not confident issues to state with the exception that we have appreciated studying your website. Great research. In the Netherlands also appear to have had large parties suffer from the Google Panda update. Are there any known victims of Google Penguin? ’m a little surprised to see Pocket-lint on that list. They have a ton of really good original content. Wow, amazing blog layout! How long have you been blogging for? you make blogging look easy. The overall look of your website is excellent, let alone the content!. 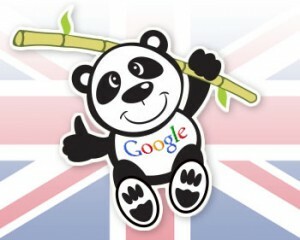 Thanks For Your article about Googleâ€™s Panda Update Rolls-out To UK Searchmetrics Suite Blog . again and going through a bit more. Hey there! I’ve been reading your site for a long time now and finally got the courage to go ahead and give you a shout out from Lubbock Texas! Just wanted to tell you keep up the great work! At first I hated everything to do with a panda nevermind the update but now I am getting used to writing decent content that users want rather than pages with no uniqueness and basically thin content. Although my sites did take a hit I will be ready for anything else they throw at me.